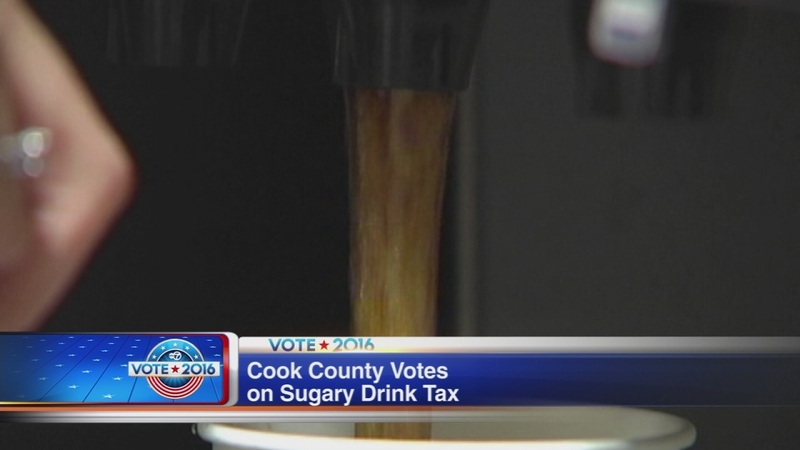 COOK COUNTY, Ill. (WLS) -- Cook County Board President Toni Preckwinkle revealed her 2017 budget includes a plan to start taxing sugary drinks. The penny-per-ounce tax on sweetened drinks could generate nearly $75 million in one year, which would help close the county's budget gap without cutting public health or safety services. The American Heart Association supports Cook County's sugary drinks tax; hoping it will curb the consumption of sugary drinks, improve health in vulnerable communities, and reduce the burden on taxpayers who pay for costs associated with chronic disease. High rates of heart disease, strokes, diabetes, and cancer - often linked to the consumption of too much sugar - are plaguing lower income and minority communities. On average, Americans consume 39 pounds of sugar annually from soda and other sweetened drinks. Dr. Tim Sanborn with the American Heart Association sat down with ABC 7 Eyewitness News to talk about the sugary drink tax.